Last week I did my first two “proper” cake sales, where I sold my homemade cakes on a stall as Lovinghomemade. I had no idea what to expect and was quite nervous as it’s a very different prospect, selling something you have made yourself to complete strangers, as opposed to making something to order. Luckily I sold a decent amount and all the feedback I got was positive. Phew. And what made it easier was having a stand next to someone I knew on the Saturday and Denise, who was demonstrating the Thermomix (if you haven’t heard of them, check them out: they are amazing and if I ever have a spare £900 for kitchen appliances I will be getting one! 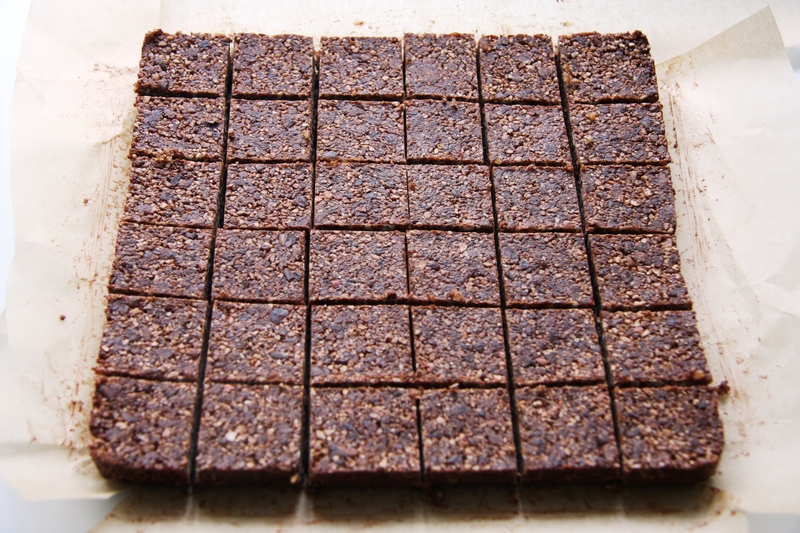 ), was handing out samples of this chocolate “alternative” that she had made in it. It’s delicious and you don’t even need a Thermomix to make it, luckily. 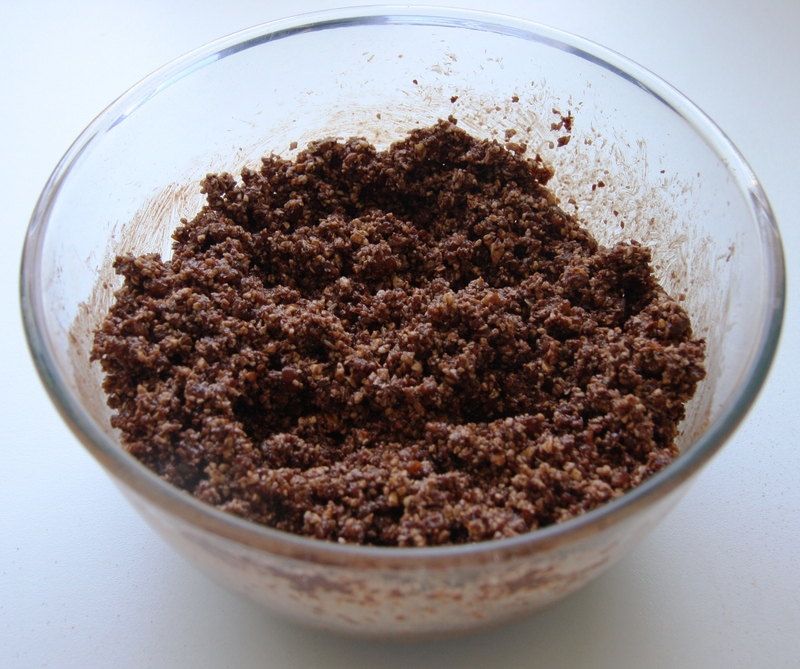 If you have a food processor this can be made in minutes. There is no added sugar as all the sweetness comes from the dried fruit. I tested it out at my son’s school cricket match and it was a big hit with the parents. I haven’t tried it on the kids yet (I didn’t take enough!) but I would be surprised if they didn’t like it. I think it also counts as Paleo and vegan so comes with a lot to recommend it. 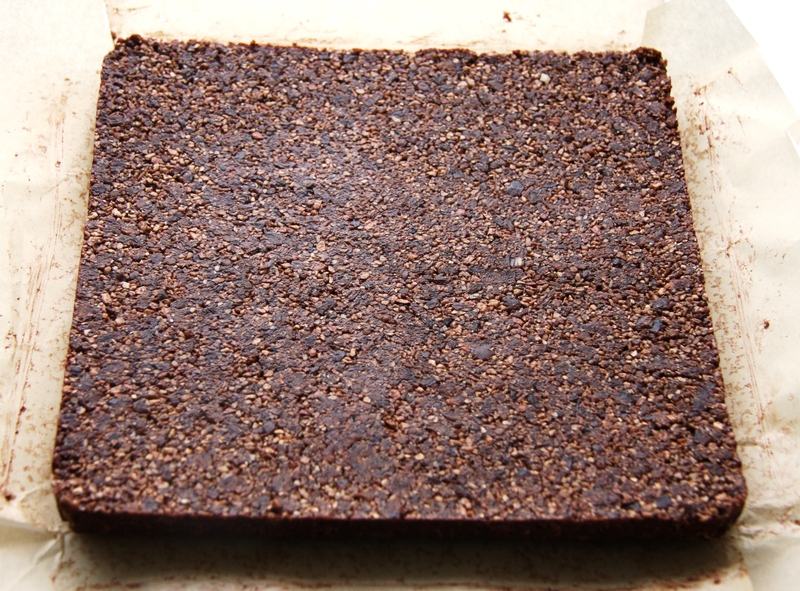 Line a 7″ square tin with baking parchment. 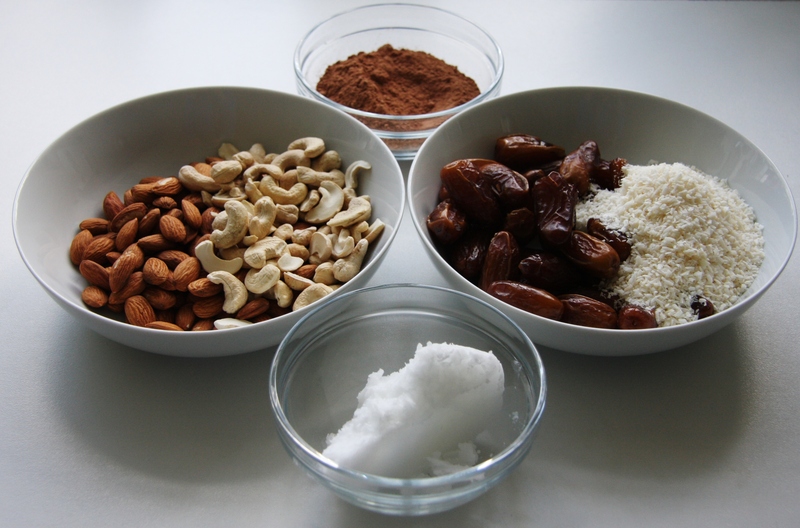 Put the almonds and cashews into a food processor and process until they are finely chopped. Tip into a large bowl. 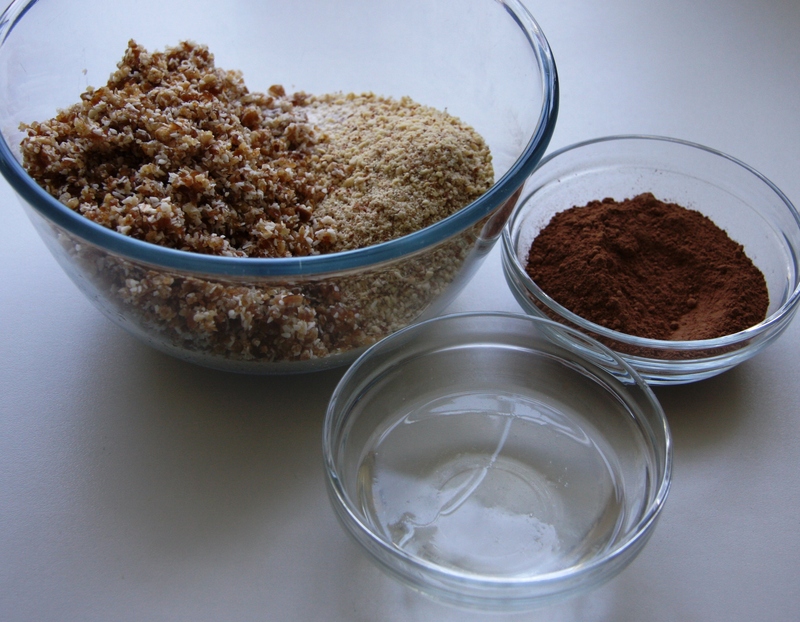 Put the dates and dessicated coconut into the food processor and process until they are also finely chopped: add to the bowl with the chopped nuts. If your coconut oil is still solid, just warm it up to melt it. 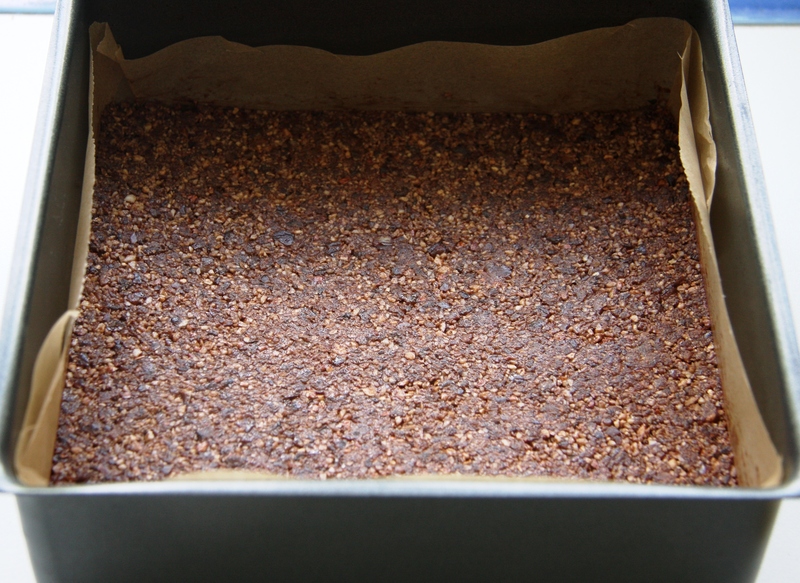 Tip into the prepared tin and press down with the back of a spoon to flatten and compress it. Store in the refrigerator to keep it solid. They look good. Sugar free!!!! Maybe it’s something for me. Will have to try. I think you would really like these – will try to bring you some! 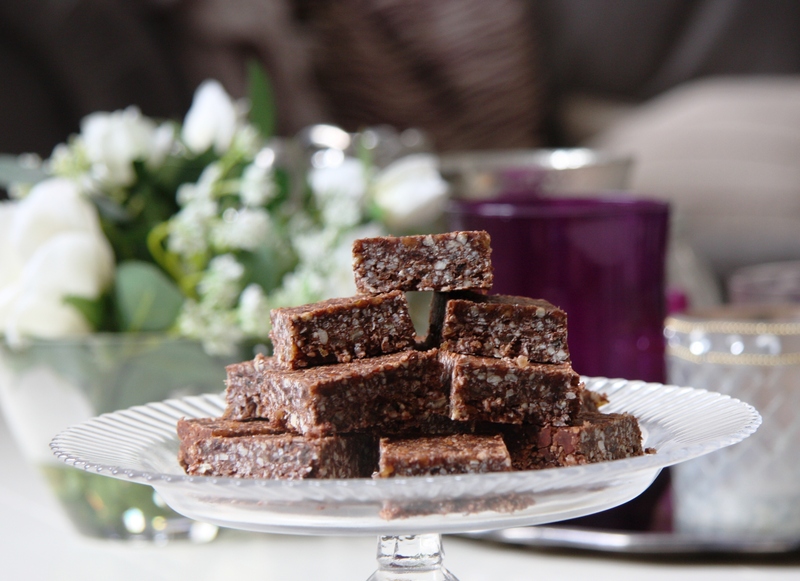 Those look fantastic – kind of similar to the brownies I posted recently. Gorgeous. These could be considered energy bars as well. Such yummy goodness!!! Thank you – yes, you are right and in fact I have been eating one before I go running for a bit of extra energy. These sound SO good! I am definitely making them. And congratulations on the sales! Well done. Thank you very much and hope you enjoy them! It sounds like wholesome bars with so much delicious goodness! Glad the sale went well. must be a great feeling getting positive feedback! Thank you very much – yes, it’s great to get positive feedback, especially when it is something you have made yourself. 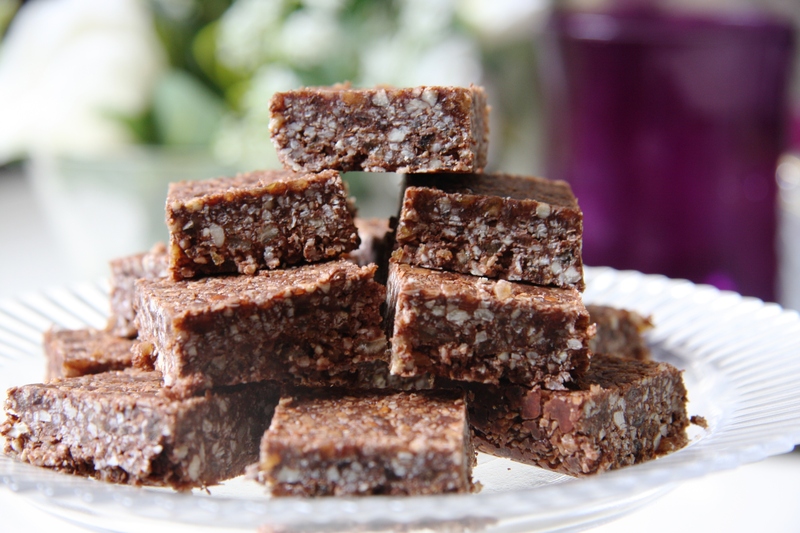 Oh my Goodness, I just tried one of these………and I really am not exaggerating when I say that they are the most delicious sugar free treats that I have tasted……..and believe me ….I have tried many…made with sugar alternatives like rice syrup….agave…and jaggery. Often they are too sweet….Rachel these are excellent and taste indulgent without the enjoy now….suffer later fator for me. Thank you so much. I will be making a nice batch of these when the kids break up. My 10 year old loves them. She said they are ‘sooooo good’ and my five year old thinks they are very yummy….especially because you made them. Thanks very much for your comment – I kept mine in an airtight container in the fridge and it was still good several weeks later. I think it would just start to taste a bit stale after a while, or just not look as fresh anymore. Sorry I can’t be more specific!